Ruth Bader Ginsburg will go down as one of the most influential and exceptional Supreme Court Justices to ever live. She was only the second woman to get nominated to the court and was confirmed by the United States Senate with a vote of 96 to 3 during her 1993 confirmation. At the time, she was considered to be a moderate judge as President Bill Clinton received suggestions about her from both Democrats and Republicans. She’s now generally viewed to be a “fair liberal” on the court and is widely respected by both sides of the aisle. 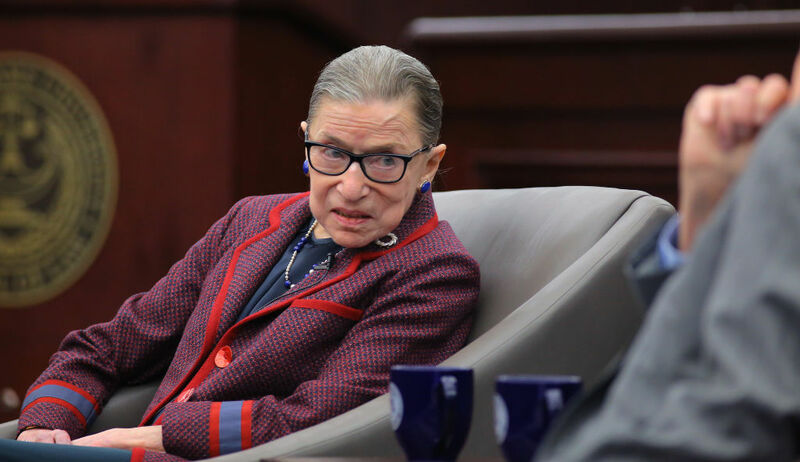 Let’s take a closer look at the life of the “Notorious” RBG. RBG’s mom, Celia Bader, tragically died the day before Ruth graduated from high school. Despite only having a short time together, Celia was able to make a huge impact on her daughter. Ruth called her mother the most intelligent person she’s ever known. Celia went to work at the age of 15 in order to put her own brother through college. 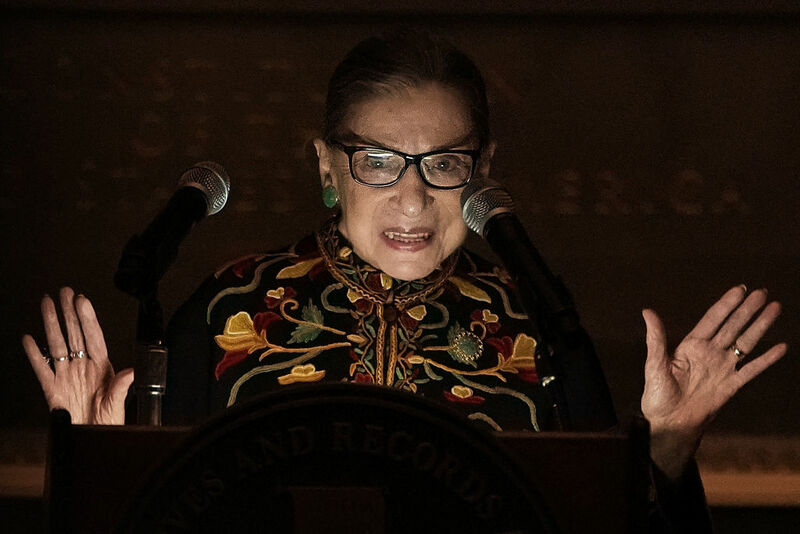 During the White House press conference, RBG thanked her late-mother in her inaugural supreme court speech. 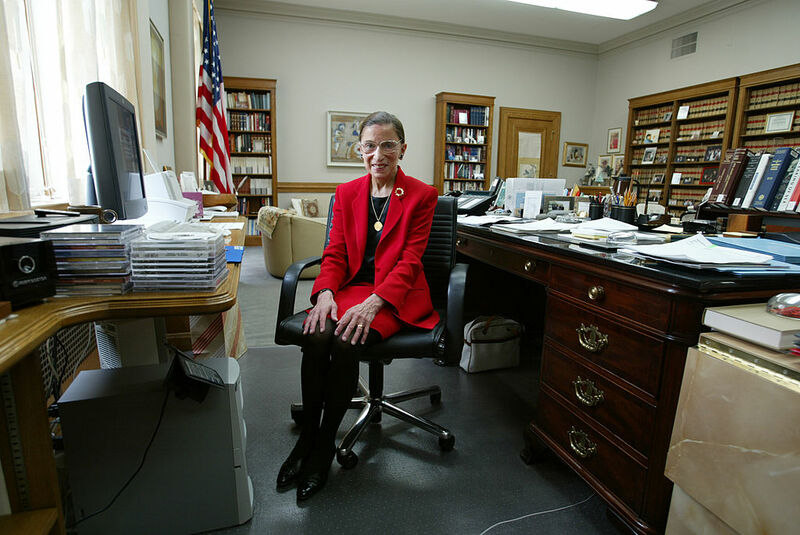 Ginsburg transferred from Harvard to Columbia and ended up graduating at the top of her class. But, at that point, very few law firms were even opening their doors to women, and despite glowing reviews from her peers and professors, none of them were able to land her a clerkship with a federal judge. 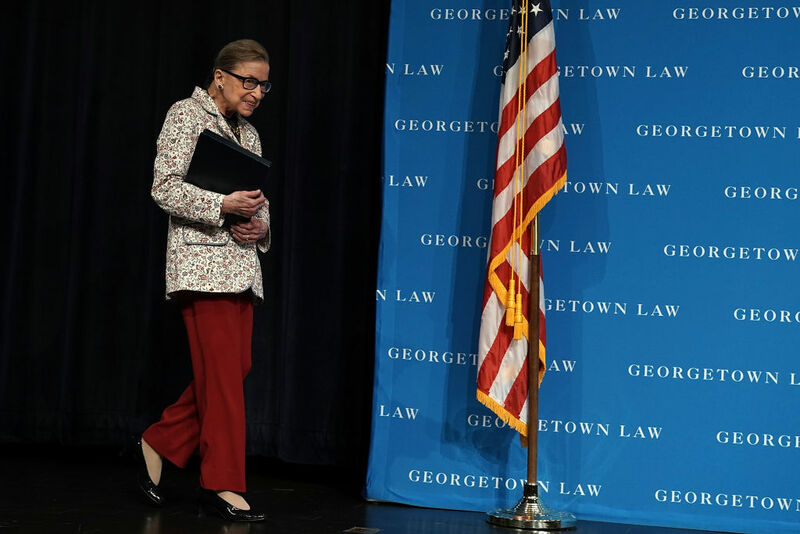 She had to get her foot in the door with a lower district judge and only after one of RBG’s mentors threatened to stop sending clerks his way if he turned her down. She was also turned down by the famous judge and legal philosopher Learned Hand because he was afraid a women’s presence in the workplace would force him to stop swearing. She would end up carpooling with the judge she clerked for and Hand, who swore all the time around her. When she asked him why he had no problem swearing in the car, but not in the office around her, he said, “Young lady, I’m not looking at you,” to which she realized that he acted as if she wasn’t even in the car. RBGs marriage took place at a time when gender roles were very black and white. Ruth and Marty Ginsburg refused to let the prescribed guidelines set out for them dictate their household. Marty was a successful tax lawyer and was busy trying to get Ruth away from her office. He ended up doing most of the housework and child-rearing because Ruth’s career was taking off. In fact, there were some nights that he would have to bring the kids to her office just to ensure that she actually ate anything that night. 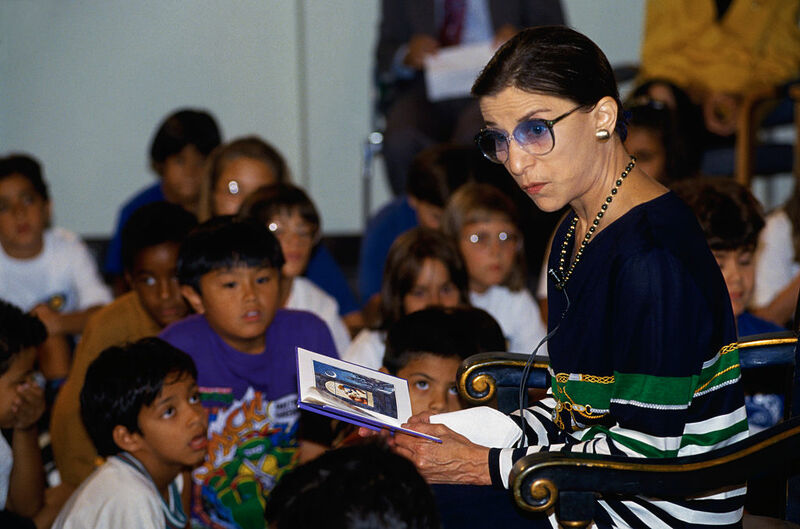 Find out what organization gave RBG her first big break and would springboard her to national acclaim. After meeting her husband while attending school at Cornell, they both made their way to Harvard Law School together. Ruth was on the Harvard Law Review while trying to take care of her now ill husband and young daughter. Marty was diagnosed with testicular cancer at the time, but that didn’t slow them down. Ruth helped Marty keep up with his classes by typing out his paper from dictation. Ruth transferred to Columbia for her last year of Law School. 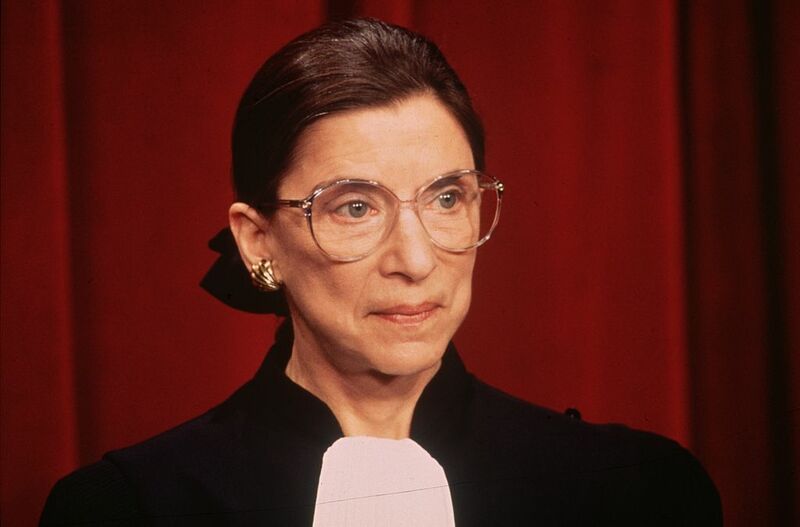 The gender of the plaintiff didn’t matter to RBG, but she always wanted to fight for women’s laws. If she could potentially overturn laws restricting women, she would do it. RBG also was very wary of any laws that tried to shield women from the harsh world outside the home, such as rules barring women from jury service. She’s been one of the biggest supporters of women’s rights in the history of the American judicial system. In the early 1970s, Ginsburg worked her way up to becoming the director of the Women’s Rights Project at the ACLU. There, she was in charge of litigating gender-equality cases in which she went on to win five of the six cases she argued before the Supreme Court. Her cases all dealt with women and men who were victims of discriminatory laws. In 1972, she was given tenure at Columbia Law School and became the first female professor. 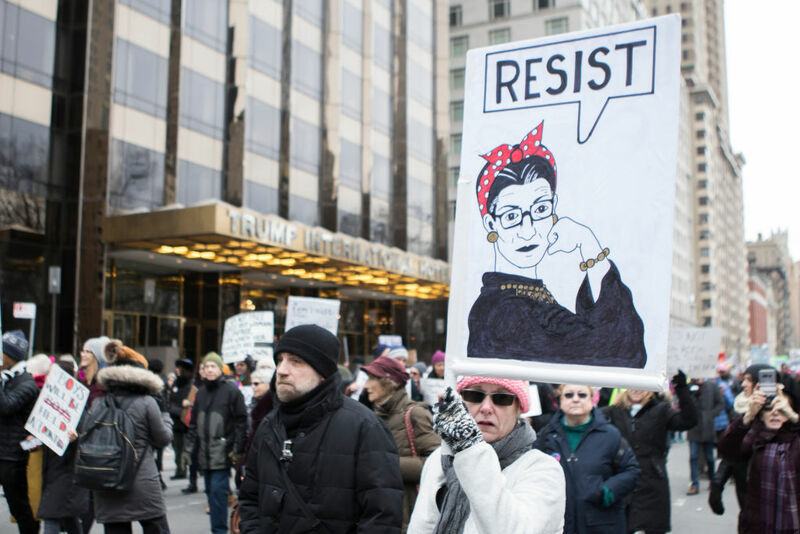 In her role as lead counsel for the ACLU Women’s Rights Project, she believed the most effective way to achieve lasting results was to pick cases that were winnable and could set a precedent. She famously said that “not all feminist issues should be litigated now,” because she felt some of the cases were losers. Ginsburg would construct an unshakeable legal foundation for women’s equality which would be able to hold until the rest of society caught up to it. Her collars are always coded. Find out what each of them means just ahead. As a young lawyer, she blazed trails to fight laws that discriminated on gender alone. Being a woman in law, she knew how important it would be to lift oppression based on gender. She made a very powerful point of showing that gender discrimination can hurt men as well as women. She represented a man named Stephen Wiesenfeld who fought a provision of the Social Security Act after his wife died in childbirth. He was denied child-in-care Social Security benefits because it was only available to widowed mothers, not fathers. 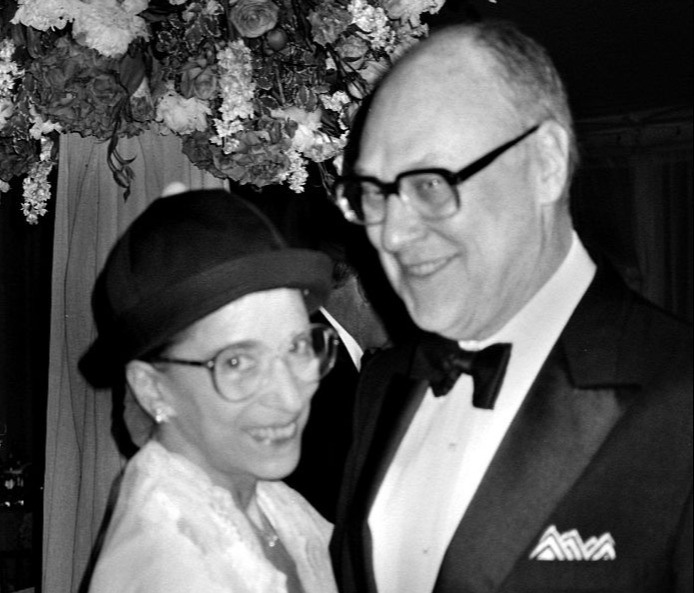 Ginsburg and Wiesenfeld became very good friends afterward. 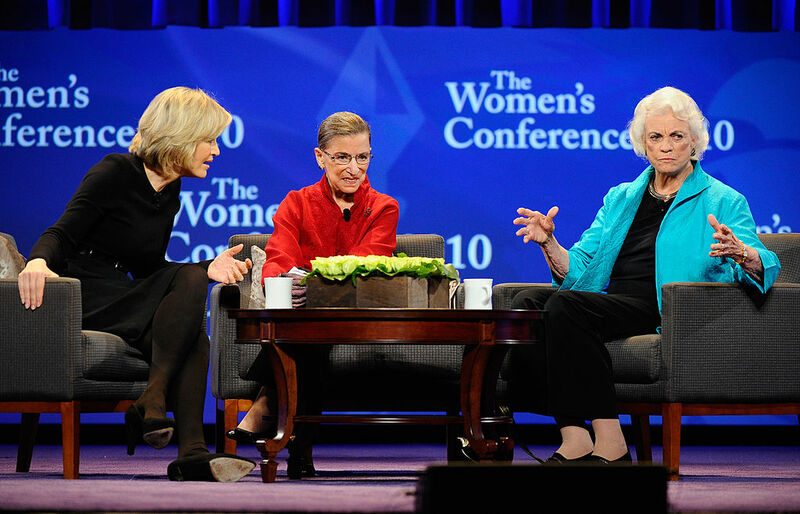 They were the first two women to serve on the Supreme Court. Before they had even met, they were both in awe of each other and their talents and skill. O’Connor wrote her first opinion outlining why Mississippi University for Women’s ban on male nursing students was unconstitutional. Ruth’s husband, Marty, joked at the time that he thought his wife hijacked her opinion and actually wrote the argument for O’Connor because it sounded exactly like her. When RBG was in the D.C. Circuit, O’Connor took on more clerks from her chamber than any other federal judge. 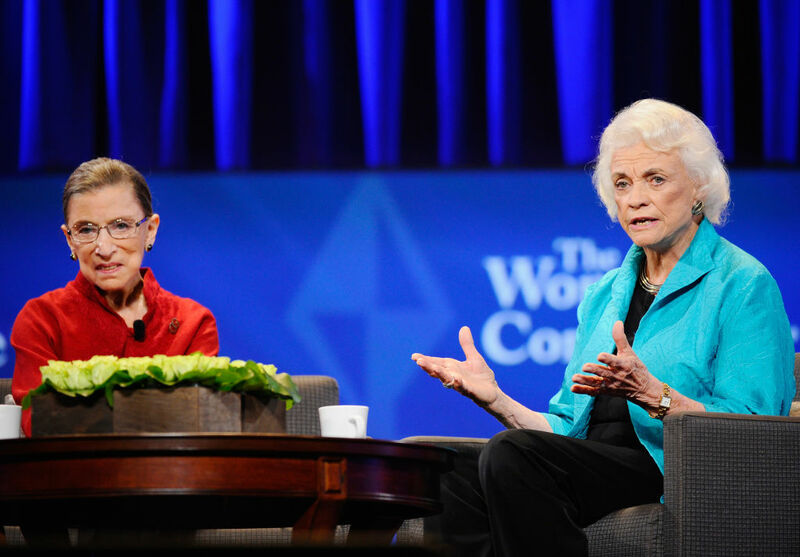 O’Connor was appointed by Ronald Reagan, and Ginsburg was appointed by Clinton, but that didn’t halt their friendship. They served 12 years together and they were even given matching t-shirts by the National Association of Women’s judges to help people tell the difference between the only two women on the Supreme Court. RBG says she misses O’Connor every day she’s at work. 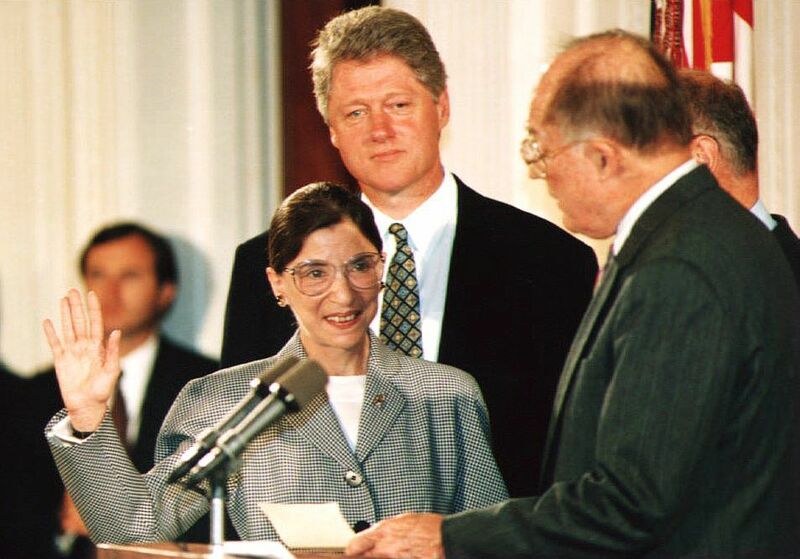 As I mentioned, RBG was appointed by Bill Clinton in 1993. A few years earlier she was appointed by President Jimmy Carter to the US Court of Appeals for the D.C. Circuit. She established a very good reputation while at the court and was wrote more than 300 opinions. Justice Ginsburg and O’Connor decided that they would use jabots to set themselves apart from the rest of their male colleagues. They thought that it would be appropriate to include a jabot to represent something typical of a woman. A lace collar featuring gold trim serves as her majority collar, while a mirrored bib necklace is what she wears when her side comes up short. It seems that everything RBG does is coded and purposeful. 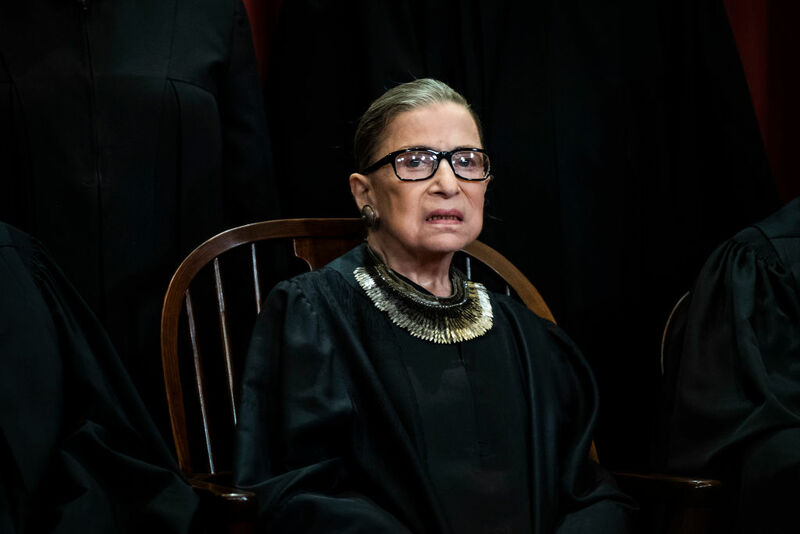 Ginsburg spills the beans on the job she wished she was talented enough to have very shortly. 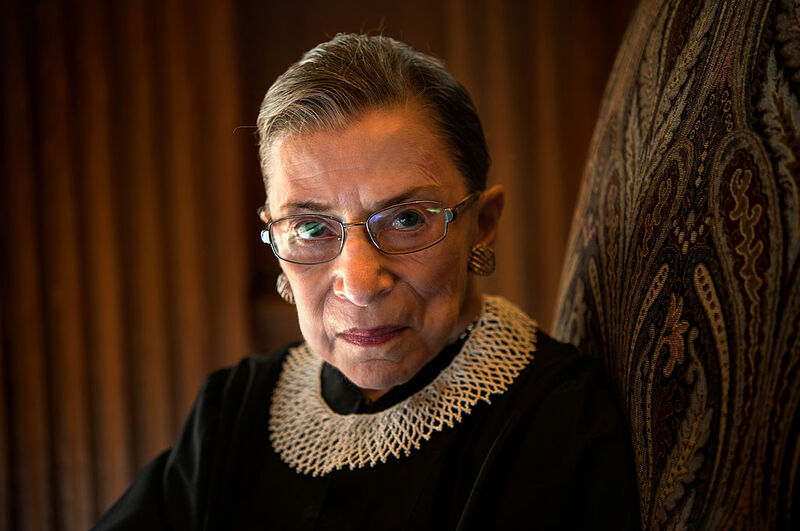 For the past two decades, RBG has been a powerhouse in the gym. Despite her small stature, she works out A LOT. She works out twice a week with a personal trainer and her regiment includes an elliptical warm-up, squats, planks, medicine ball tosses, and push-ups. She says that she does more than 20 pushups in one go which is incredibly impressive for a young person, nevermind someone her age. 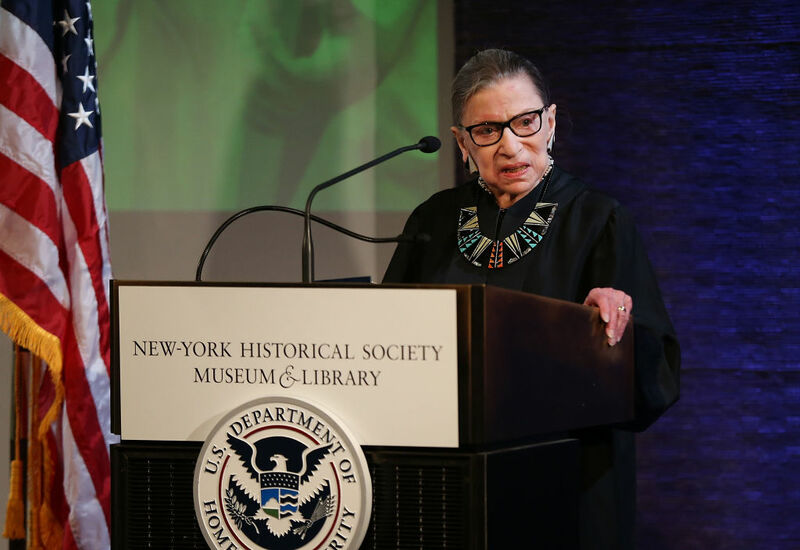 Many people believe that Ginsburg’s judicial legacy will place her among the Court’s so-called “great dissenters”. Although her career somewhat mirrored the likes of Thurgood Marshall, her opinions in disagreeing with her colleagues with passion and thought help her stand out among the rest. When she feels her conservative colleagues arrive at a decision that’s regressive, she doesn’t hesitate to lend her powerful words to the movements that will effect change from the ground up. 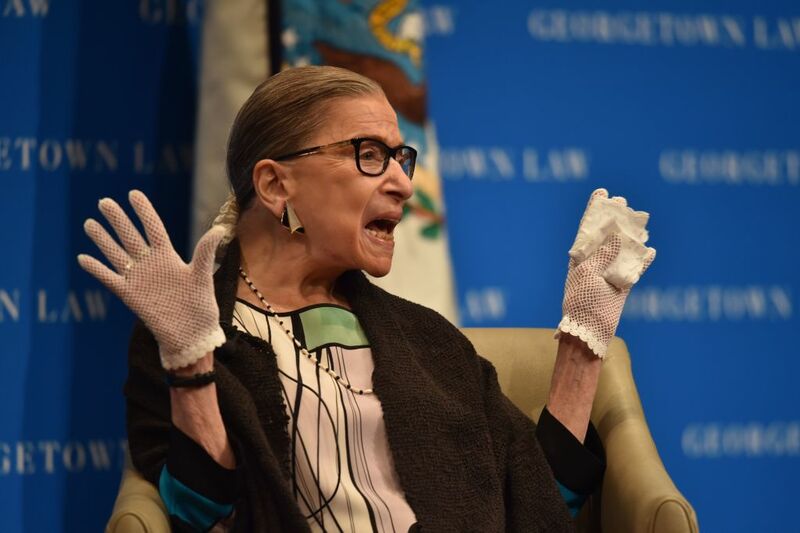 It’s no secret that RBG is a huge opera fan. In fact, she’s even appeared as an extra in a bunch of opera productions. One of her most memorable moments on stage was when Placido Domingo sang to her. She said her heart melted. 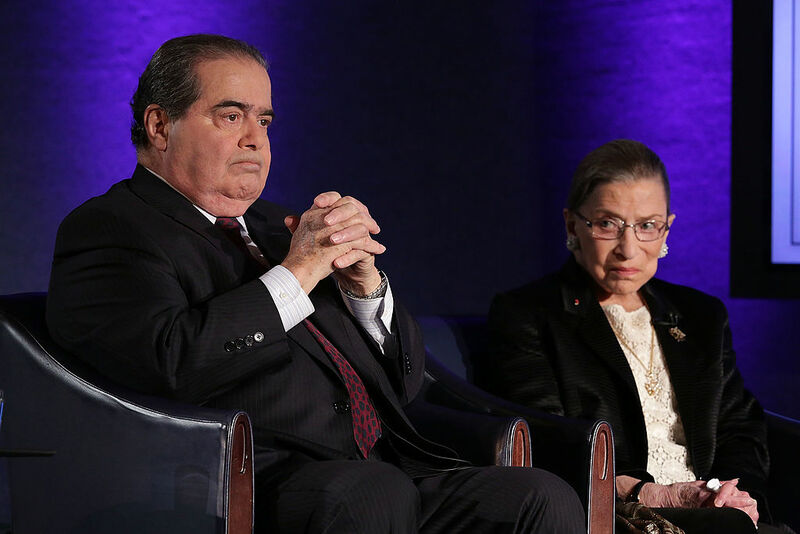 Perhaps her most unlikely friendship on the Supreme Court was with Justice Antonin Scalia. Most people have a hard time being able to wrap their brain around the duo’s unshakeable bond. Despite their opposing views on almost every issue, they possessed intense respect for each other. They really bonded away from the court as they would go on vacations together and shared a mutual love for the opera. One law student was so intrigued by their friendship that they composed an entire satirical opera about them. 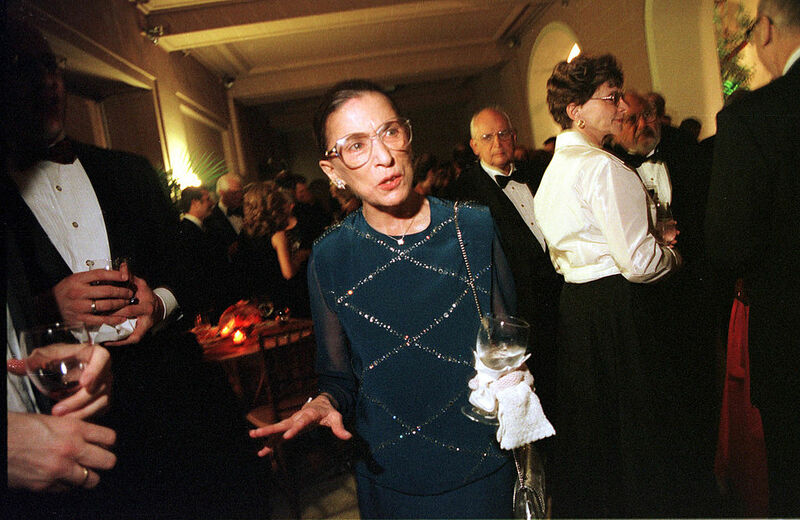 RBG is a huge opera fan, as we’ve noted many times in this article. 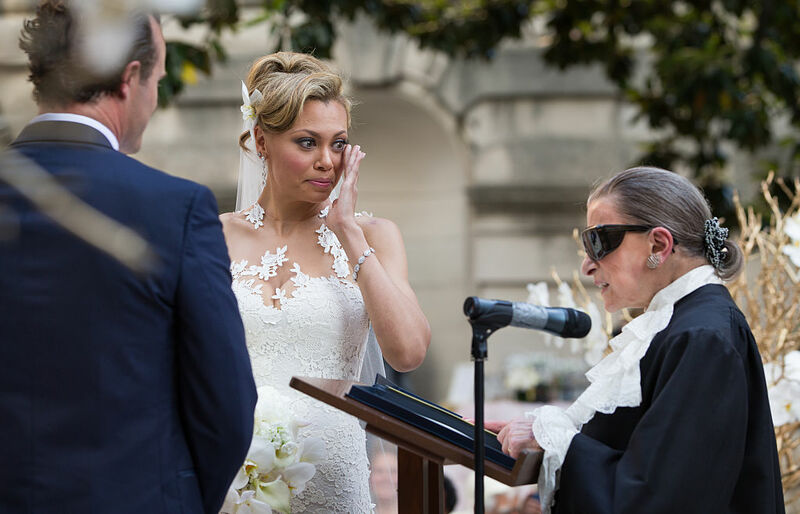 She was such a big fan of Alyson Cambridge, an American operatic soprano, that she even officiated her wedding. 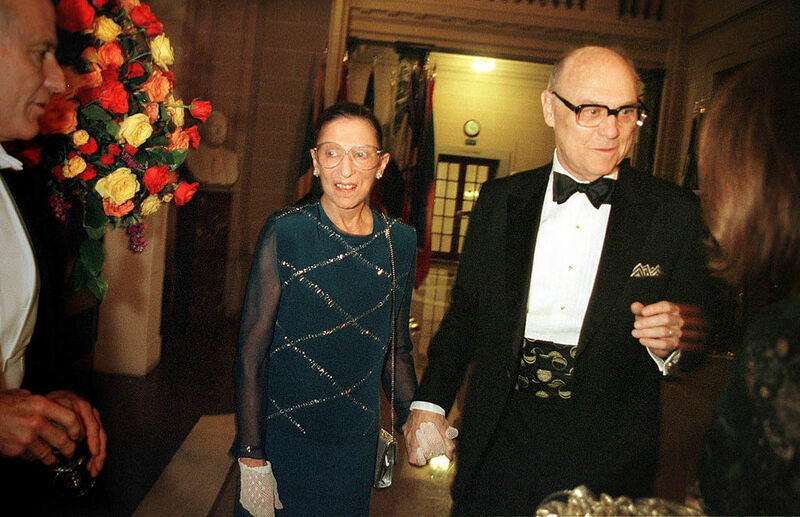 Ginsburg did it as a favor to Cambridge who has brought so much joy to her life. 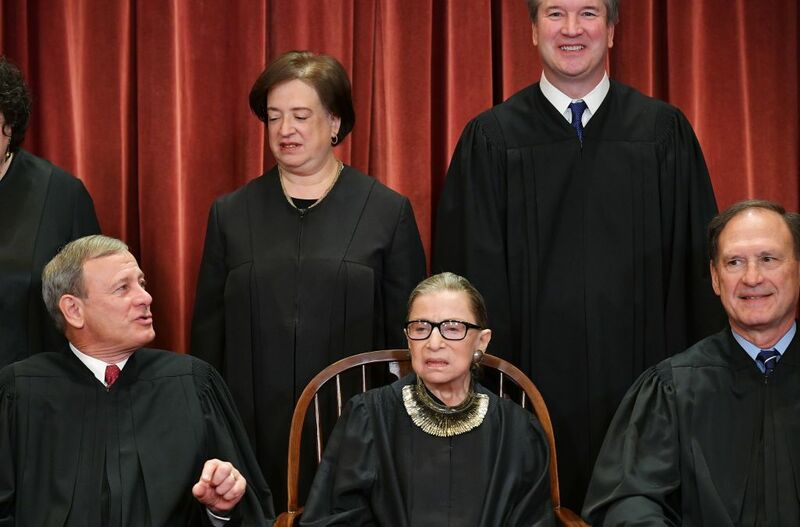 Cambridge was invited by Ginsburg to perform before the entire United States Supreme Court in a recital completely sponsored by the Justice. They remain good friends to this day. She did respect Rabbi Stephen Wise, for which she would write about even in her youth as a 13-year-old. She said that he was a “champion of every righteous cause,” and that he was a huge fighter and advocate for women’s suffrage. Ginsburg doesn’t mention retirement at all, but the speculation is certainly out there. She’s undergone some surgeries to remove cancerous growths, but if her past has anything to do with it, those surgeries won’t stop her from getting back on the bench. She’s beat cancer twice already and returned to the courtroom very quickly after. Many people asked her to step down years ago because of her health but she refuses to do so. It doesn’t look like she’ll be going anywhere anytime soon.